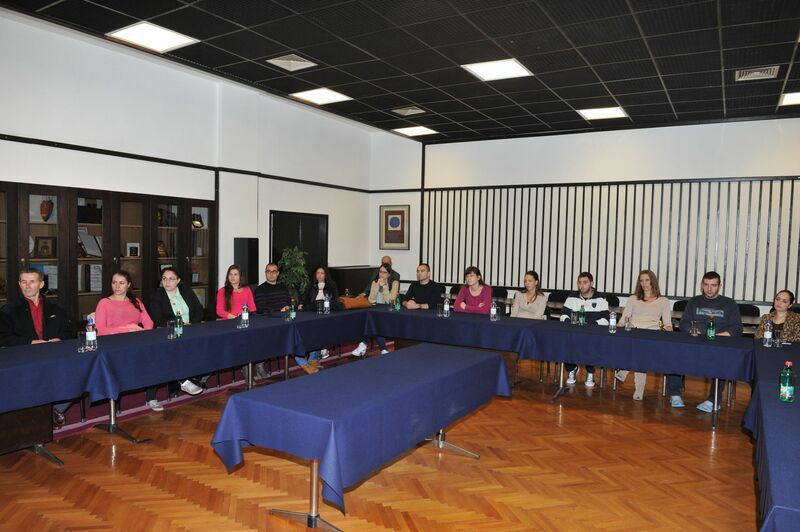 The students of the Security Studies have visited the Military Intelligence Agency (MIA) of the Ministry of Defence of the Republic of Serbia today. This visit is a part of their professional practice in order to get acquainted with the Agency’s work. 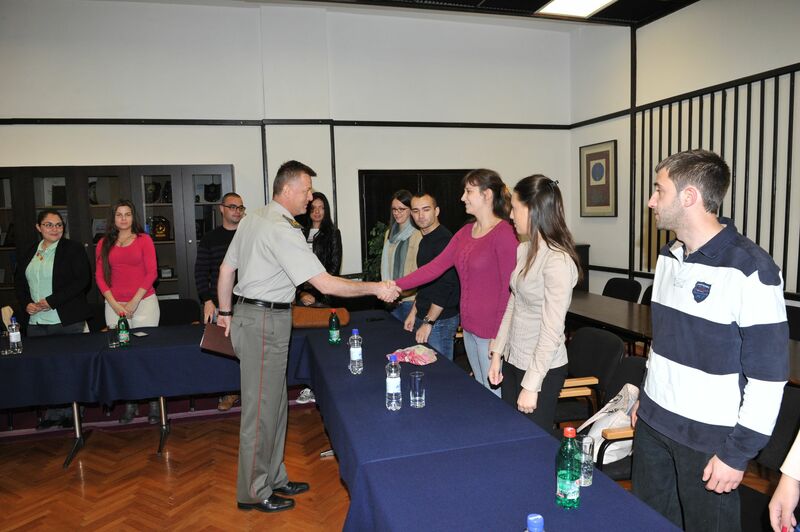 The MIA’s Director Brigadier General Slavoljub Dabic has said that he is very satisfied with the visit and expressed his expectation that in the future some of the students-visitors will work in the Agency. He stressed that the work in the MIA required continuous professional training and advancement even after the graduation from the faculty. 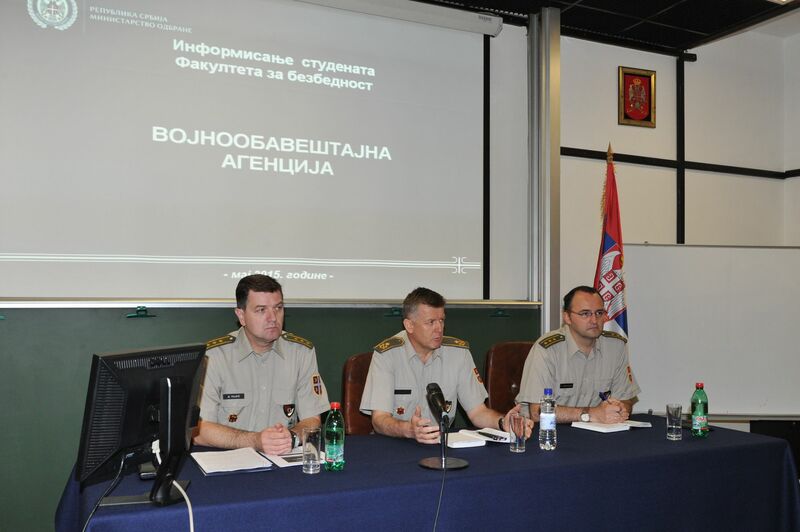 The students were briefed about the place and role of the Military Intelligence Agency in the defence system as well as in the security intelligence system of the Republic of Serbia with the emphasize on the specific parts of the work in the Agency. In the addition, the legal framework of the activity of the Military Intelligence Agency, its mission, function and competencies as well as organizational structure and the way of functioning were explained to the students.